MAJ Horace Seaver Carswell, Jr.
Horace Seaver 'Stump' Carswell, Jr.
Major Horace Seaver "Stump" Carswell, Jr. (18 July 1916 - 26 October 1944) was a U.S. Army Air Corps officer who was posthumously awarded the Medal of Honor for his actions during World War II. He is the namesake of Carswell Air Force Base near Fort Worth, TX. Horace Seaver Carswell, Jr. was born on 18 July 1916 in Fort Worth, TX. He attended North Side High School, where he played football, with his high school highlight being the winning touchdown he scored on Armistice Day in a game against the Wichita Falls team in 1933. After graduation from North Side, Horace attended college at Texas A&M University for a year as a member of the class of 1938, and then began attending Texas Christian University (four of his uncles were Methodist preachers) where he graduated in August 1939 with a Bachelor's degree in Physical Education. While attending TCU and on a double date, Horace met Virginia Ede, a TCU co-ed featured in one of the yearbook's beauty pages. Virginia was from a ranching family from the West Texas town of San Angelo and they eventually married. After the German invasion of Poland, Carswell decided to join the U.S. Army Air Forces, which he did from San Angelo, TX. He was appointed a flying cadet in Dallas, TX, on 26 March 1940. He trained at Tulsa, OK, and Randolph and Kelly Fields, TX, earning his commission and wings toward the end of 1940. He instructed at Randolph and Goodfellow Fields in Texas, with a promotion to First Lieutenant in February 1942. 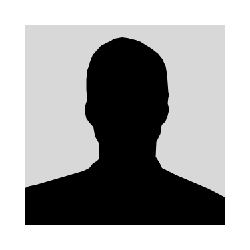 He attended the Army Air Force Combat Crew School at Hendricks Field, FL. He then served as an instructor and flight commander with bomb squadrons based at Davis-Monthan Field, AZ, and Biggs Field, TX. In December 1942 he was promoted to Captain. In January 1943, he was assigned to the 356th Bomb Squadron at Clovis Army Air Field, NM, where he was promoted to Major in April. The next month he was transferred to Headquarters 302nd Bombardment Group. During this period Virginia gave birth to their only child, Robert Ede Carswell, at Clovis Army Air Field in September 1943. Shortly thereafter he was transferred to Langley Field, VA, in operations and group command assignments. Major Carswell went to the Pacific Theater of Operations in April 1944, as pilot and operations officer of the 374th Bomb Squadron in the 308th Bombardment Group of the 14th Air Force. On 26 October 1944, he was flying a B-24 Liberator on a single-aircraft night mission against a Japanese convoy in the South China Sea. He elected to make a second low-level run over a thoroughly alerted convoy and scored two direct hits on a large tanker. His co-pilot was wounded, and his aircraft had two engines knocked out, a third damaged, the hydraulic system damaged, and a fuel tank punctured. He managed to gain enough altitude to reach land, where he ordered the crew to bail out. Eight did, but the bombardier's parachute was too badly damaged to use. Instead of bailing out, Carswell stayed with the bombardier and the wounded co-pilot and attempted a crash landing. The badly damaged aircraft crashed against a mountain, and all three aboard were killed. For his heroic action of self-sacrifice he was posthumously awarded the Medal of Honor. 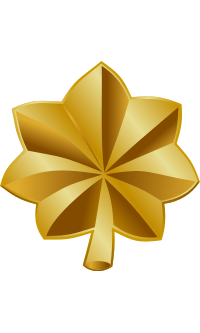 Rank and organization: Major, 308th Bombardment Group, U.S. Army Air Corps. Place and date: Over South China Sea, 26 October 1944. Citation: He piloted a B-24 bomber in a one-plane strike against a Japanese convoy in the South China Sea on the night of 26 October 1944. Taking the enemy force of 12 ships escorted by at least 2 destroyers by surprise, he made 1 bombing run at 600 feet, scoring a near miss on 1 warship and escaping without drawing fire. He circled and fully realizing that the convoy was thoroughly alerted and would meet his next attack with a barrage of antiaircraft fire, began a second low-level run which culminated in 2 direct hits on a large tanker. A hail of steel from Japanese guns, riddled the bomber, knocking out 2 engines, damaging a third, crippling the hydraulic system, puncturing 1 gasoline tank, ripping uncounted holes in the aircraft, and wounding the copilot; but by magnificent display of flying skill, Maj. Carswell controlled the plane's plunge toward the sea and carefully forced it into a halting climb in the direction of the China shore. On reaching land, where it would have been possible to abandon the staggering bomber, one of the crew discovered that his parachute had been ripped by flak and rendered useless; the pilot, hoping to cross mountainous terrain and reach a base, continued onward until the third engine failed. He ordered the crew to bail out while he struggled to maintain altitude and, refusing to save himself, chose to remain with his comrade and attempt a crash landing. He died when the airplane struck a mountainside and burned. With consummate gallantry and intrepidity, Maj. Carswell gave his life in a supreme effort to save all members of his crew. His sacrifice, far beyond that required of him, was in keeping with the traditional bravery of America's war heroes. The medals were presented to his wife, Virginia, on various dates. • On 27 February 1948, Fort Worth Army Airfield was renamed Carswell Air Force Base in his honor. • Carswell Avenues at Elmendorf Air Force Base, AK, and at Lackland Air Force Base, TX, are named in his honor. • A frame containing an artist's rendition, a specimen Medal of Honor and the citation is on display at Texas A&M University in the Memorial Student Center. • A large bronze bas relief plaque hangs in the Sanders Corps of Cadets Center on the campus of Texas A&M University. 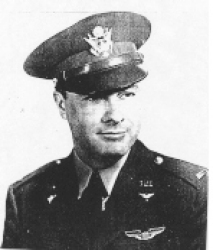 Major Horace Seaver "Stump" Carswell, Jr. was killed in action on 26 October 1944. His remains were initially buried at a Catholic mission in Tungchen, China. He is now buried at Oakwood Cemetery in Fort Worth, TX, in the Carswell Memorial Park section (named in his honor), located to the right of the entrance. He was survived by his wife, Virginia, and son, Robert.